Managing the pharmaceutical products supply chain is no easy task. Many steps, people and organizations are involved in getting items from the manufacturer through distribution to the medical facility, pharmacy, healthcare provider and ultimately the patient. Managing such a complex supply chain is made even more difficult when the products have strict storage temperature requirements and expiration dates that must be adhered to, which ultimately impact patient health and safety. With costs increasing, these challenges are even more top of mind. In a paper titled “The top ten global health supply chain issues: Perspectives from the field”, Natalie Privett and David Gonsalvez interviewed and surveyed global health supply chain professionals to identify and prioritize the top ten challenges. The list included: (1) lack of coordination, (2) inventory management, (3) absent demand information, (4) human resource dependency, (5) order management, (6) shortage avoidance, (7) expiration, (8) warehouse management, (9) temperature control, and (10) shipment visibility. While there is not one product or service that is a panacea for all the challenges identified, the RFID-enabled Intelliguard® Vendor Managed Inventory System can help alleviate many common issues experienced with remote critical inventory management. Controlled Temperature Cabinets placed at a remote pharmaceutical distribution site track storage conditions and automatically update inventory each time items are added or removed and the door is closed. Real-time visibility is provided to inventory details through a web-based Client Intelligence Portal. RFID-Enabled Controlled Temperature Cabinets are placed on-site at the distribution warehouse or other remote location. Each time product is added or removed and the cabinet door is closed, inventory details are automatically updated, with no manual intervention required. Inventory tracking information includes medication name, lot #, NDC#, and expiration date. Real-time and accurate inventory details can be accessed any time, from anywhere, through a web-based Client Intelligence Portal. Minute-by-minute product usage details can be viewed, shortages against PAR detected, and expirations tracked. Customizable alerts are generated for temperature out-of-range events, low-stock thresholds or soon-to-expire inventory. Usage reports and analysis provide trending data to better forecast demand, optimize inventory and reduce costs. The combination of on-site storage and real-time remote visibility allows for confident inventory management. Immediate real-time inventory visibility: Whether placed at the distribution facility, hospital pharmacy, or any other critical location, the Intelliguard® Controlled Temperature Cabinets provide real-time visibility to cabinet inventory through a web-based portal. Details include inventory count, medication name, lot number, and expiration date. The RFID-enabled system does not require manual intervention for inventory tracking – the system automatically updates upon the cabinet door closing – so there is no danger of inaccurate inventory counts due to human error or work-arounds. Low-stock alerts: Customized PAR levels can be set by item. Alerts are generated if an item hits a low-stock threshold, providing plenty of time to re-order and avoid shortages. This capability also allows for better inventory optimization and cost reduction in the long-term, as unnecessary over-stock can be avoided. Long-term demand forecasting: Utilization data is tracked every time an item is added to or removed from a cabinet. Reports can be run by item and date and even by user when secure access is enabled. This detailed data allows for a deep understanding of what medications are used when, and by whom, to optimize inventory on an ongoing basis. Expiration: More effectively managing expirations through a complex supply chain again comes down to visibility and needing to know where each item is in the chain, what is the item’s expiration date, and preferably to receive advance notification or reporting that allows proactive removal of soon-to-expire items. 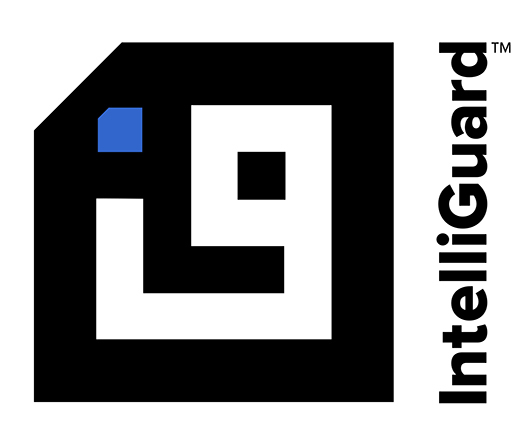 The Intelliguard® RFID System tracks the location of all inventory throughout the supply chain, including expiration date details. Upcoming expiration reports can be accessed through the online Customer Intelligence Portal and proactive notifications of soon-to-expire inventory put managers in control to pull and replace items well before their beyond-use date. Notifications can be configured by lead time, for example, 30-days prior to expiration, and customized to send by text or email. Temperature Control: Many critical pharmaceuticals have strict temperature requirements, making supply chain visibility even more crucial, particularly when a patient’s health is at risk. Intelliguard®Controlled Temperature Cabinets are available with pre-set temperature settings for Cold (2° – 8°C) or Controlled Room Temperature (20° – 25°C) storage. No matter the location, alerts notify users if a cabinet goes out of range. In addition, because of the detailed inventory visibility the system provides, users know exactly what medication was in the cabinet when the out-of-range incident occurred, so inventory can be pulled as needed. RFID technology puts pharmaceutical supply chain professionals in control by providing real-time visibility across remote facilities to specific cabinets, the items within them, and their storage and inventory conditions.